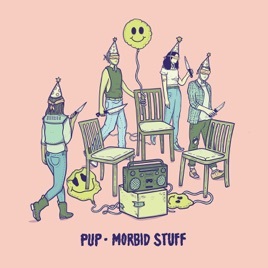 Certainly, Morbid Stuff pulls no punches: This is an album whose idea of an opening line is “I was bored as f**k/Sitting around and thinking all this morbid stuff/Like if anyone I slept with is dead.” But of course, this being PUP—a band that built their fervent fan base through their wonderfully absurd high-concept videos—they can’t help but make a little light of the darkest subject matter. 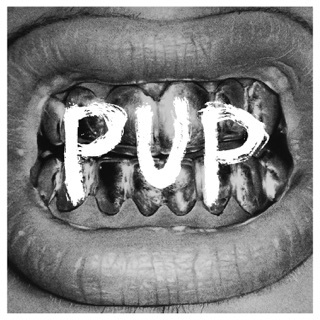 Complementing Babcock’s fearless lyricism is the band’s growing confidence to step outside of the circle pit: “Scorpion Hill” begins as a lonesome barstool serenade before kicking into a dusty cowpunk gallop, while the power-pop rave-up “Closure” simmers into a sweet psychedelic breakdown that nods to one of Babcock’s all-time favorite bands, Built to Spill. 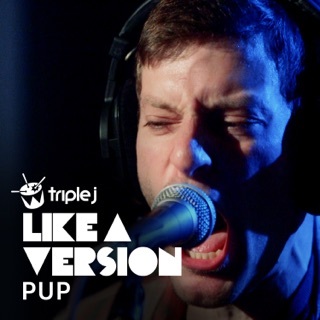 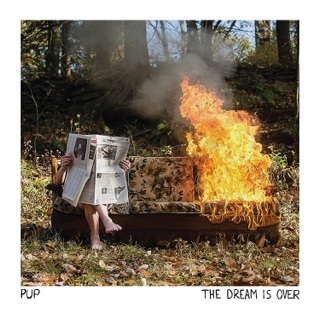 And the closing “City” is PUP’s most vulnerable statement to date, a pulverizing power ballad where Babcock takes stock of his conflicted relationship with Toronto, his lifelong home.